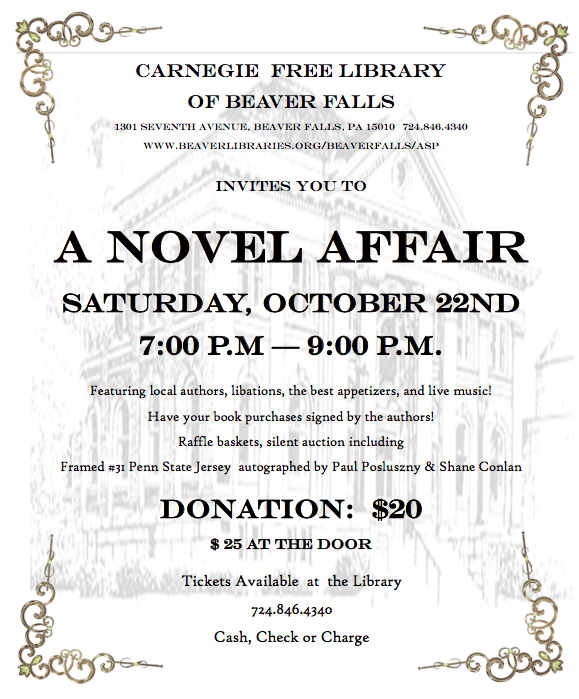 The Carnegie Library of Beaver Falls is hosting A Novel Affair, featuring authors, appetizers, and live music. Have your book purchases signed by the authors. 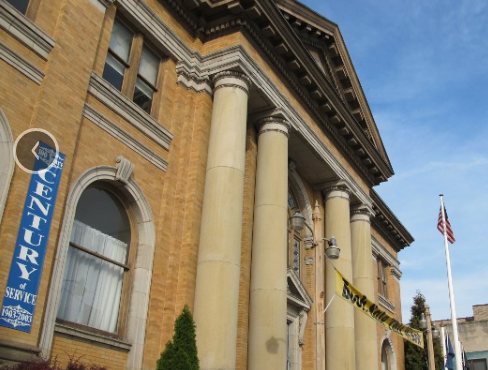 Raffle baskets and silent auction, including Framed #31 Penn State jersey signed by Paul Posluszny and Shane Conlan. 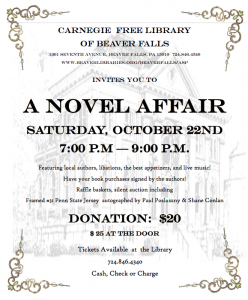 Tickets available at the library ($20) or at the door the night of the event ($25).